A locally manufactured harvester in Dinajpur proves to be an all-in-one device, while the cost is relatively low. 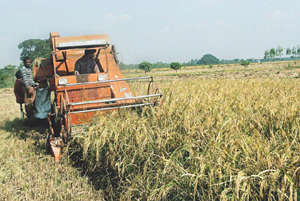 Anwar Hossain, a 51-year old quack at Dakkhin Basudevpur village under Phulbari upazila, designed the machine that can harvest, thresh and pack paddy or wheat simultaneously. The machine, which requires only a driver and an operator, can harvest at the rate of one acre per hour, cutting labour costs significantly and outperforming the imported models. 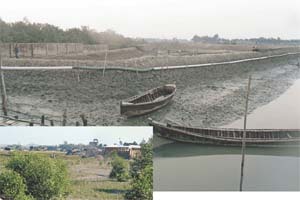 Bakkhali river in Cox’s Bazar is getting narrower day by day as the land grabbers are out to encroach on both sides of the river by erecting illegal structures. 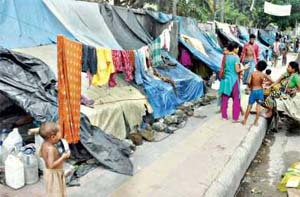 Many of the grabbers have either built structures or hung signboards on the encroached land along the banks of the river, stretching over an area of five kilometres from Uttar Nuniachhara to Majhirghat in the town. The grabbers are also active to grab about 15 kms of river banks in the suburbs, locals sources said. 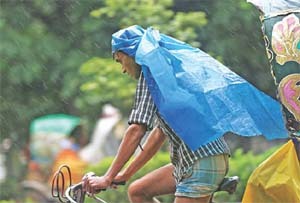 Just before the end of the monsoon, the country has been experiencing unusual October rains following three drier months in a row when the monsoon was supposed to be most active with heavy rainfalls. 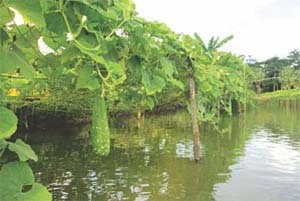 Defying the onslaught of salinity that had long been affecting rice cultivation, a farmer in Pirojpur is now excelling in fish and vegetable farming, setting an example for others to follow. 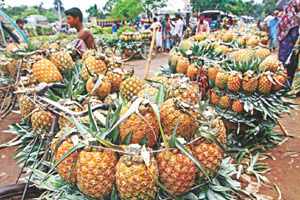 “Making profits from the combined farming of fish and vegetables is a total shift from the loss era of rice farming,” said Azizur Rahman Mollah alias Hanif, 50, of Uttar Mithakhali village in Mathbaria upazila. states the regional Met office. 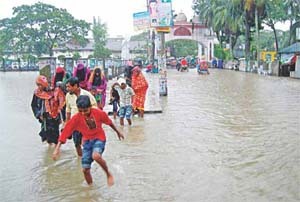 Heavy rainfall since early morning caused waterlogging in different areas from two to five hours till 5:00pm, leading to a low presence of students in educational institutions and vehicles on the roads. 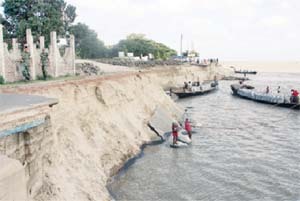 ABOUT 75-metre stretch of town protection embankment in Sirajganj was washed away by river Jamuna on Wednesday night. adjacent road on the embankment began to be eroded at about 10:00pm on Wednesday and the erosion continued till Thursday morning. 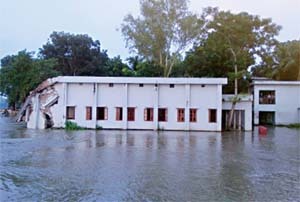 New Age correspondents depicted harrowing pictures of thousands of people rendered homeless by erosion in Faridpur, Chapainawabganj, Khulna, Sirajganj, Munshiganj, Manikganj, Barishal and Bogra caused by the Padma, Jamuna, Meghna and other major rivers swollen by torrential rains. The jhau woods along the Cox’s Bazar seashore are in decline, putting the future of the world’s longest sea beach in jeopardy. 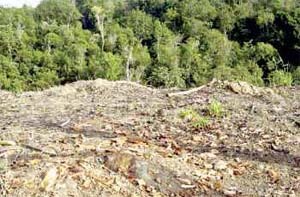 Setting up of illegal structures, indiscriminate felling of jhau trees[tamarisk], and leasing of land adjacent to the beach stand out as contributing factors to the decline of the woods. The people in Nalitabari upazila of Sherpur are at dangerous risk of arsenic contamination. in 12 unions of the upazila. A considerable number of these people are at high risk of arsenic. 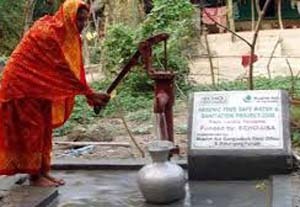 There are a total of 22,150 tube wells in the upazila. Of them, water of 7,000 tube wells was examined and presence of arsenic was found in 1022 of them. The existence of Muria Haor in Biyanibazar of Sylhet is now under threat for lack of a fish sanctuary along the vast water body, once bountiful with fish resources. Unabated fishing through use of current nets and mosquito nets not only disturbs fish breeding in the haor but it has also denuded the water body of majority of the fish species once it had. 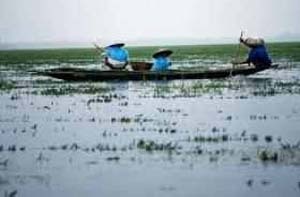 Once upon a time, the haor was home to at least 115 species of fish, most of which are now absent here. Md Bahaz Ali Fakir, an English teacher of a secondary school, has not taken even a day’s leave for the past 33 years, setting an example of great devotion to his profession. 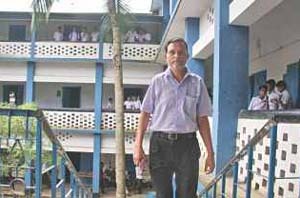 Teaching at Shaheed Smrity High School and College in Tangail’s Madhupur upazila, Bahaz, 55, has been off work only on weekends and national holidays over the years, despite many difficulties along the way. 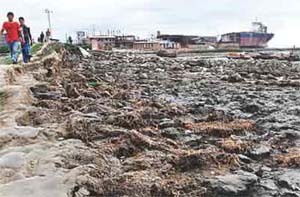 Subsequently seawater from the Bay of Bengal is inundating the adjoining villages at every high tide, causing immense suffering to the residents. In Arabic Eid means ‘festivity’. Eid-ul-Fitr, the biggest religious festival of the Muslims, is observed after a month-long ‘siam’ (fasting). Although Eid is all about feast and festivity, it does not carry the same meaning for the poor and homeless. On the day of Eid, people traditionally wear new clothes, eat delicacies, and enjoy the day with their family and friends, while many poor people in the country virtually starve on the day. Wearing of new clothes on the Eid day is a daydream for them. 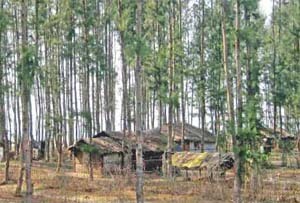 The eco-system of Lawachhara National Park in Moulvibazar is at risk because of indiscriminate destruction of forest resources, a heavy rush of visitors even into the deep forest and lack of proper maintenance and scarcity of wild animals. The district administration has already expressed concern about the worrying state of the environment protection system in the park.